It doesn’t take much more than an image of delicious noodles to have us craving the warmth of ramen’s savory broth. 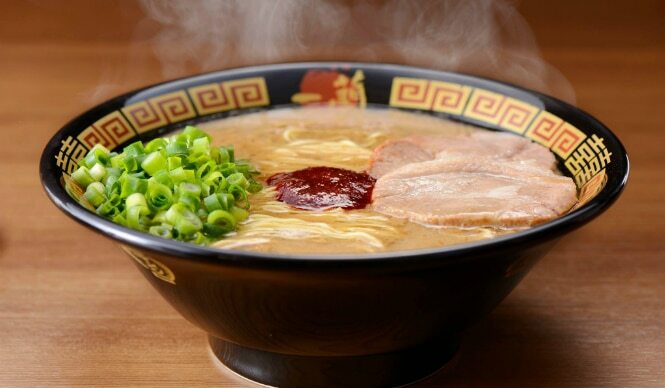 Regardless of your broth preference, nothing comforts the soul like a hot bowl of ramen. 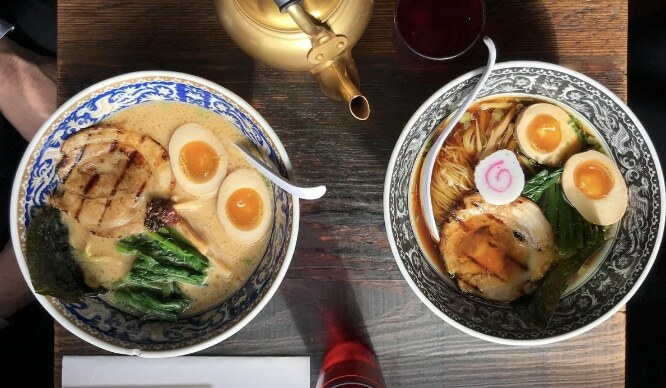 If you’re looking to slurp down noodles delicious noodles in a flavorful broth we know a few places you may want to check out. 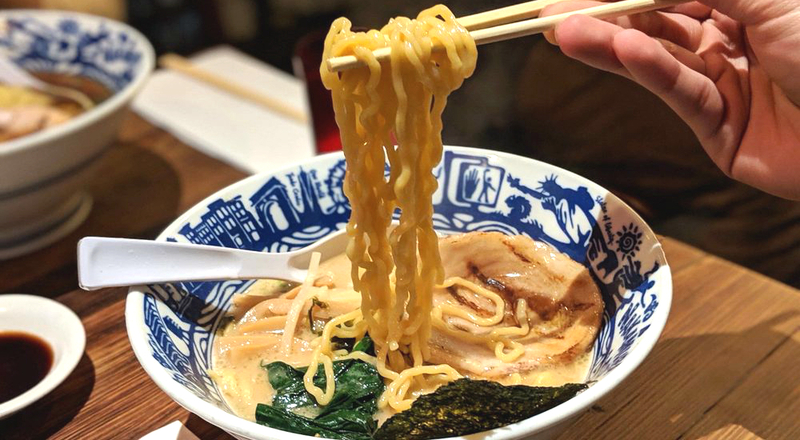 From vegetarian options to “triple pork” bowls, here are some of NYC’s most notable ramen spots. 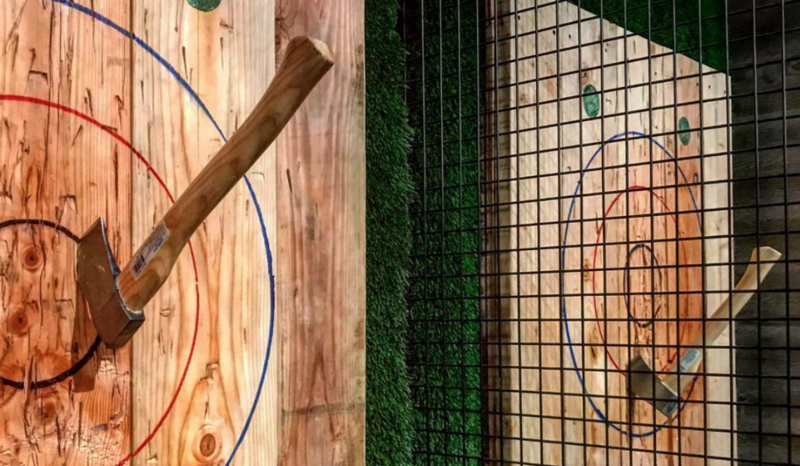 We’ve also included a map at the end with more options than what is listed (because NYC is home to too many spots that we just can’t condense into one short list!). 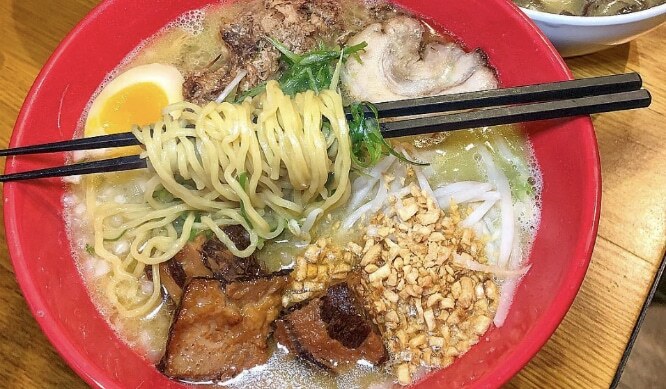 What: This vegetarian ramen shop is delicious, even for meat eaters! Be sure to try their miso ramen, it’s made with cabbage, butternut squash, and scallions. 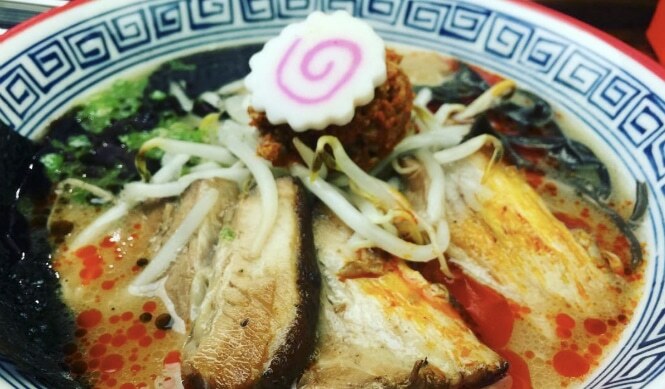 What: If you’re into spicy ramen their HinoMaru ramen is made with their signature “fire ball,” but their miso ramen is also tasty and has over 30 different ingredients! What: This is the ramen shop you may remember making waves through media a few years ago when they first opened with single-seating options where people could dine with no human interactions at all. However, there is another dining area where you can have a traditional experience, too. 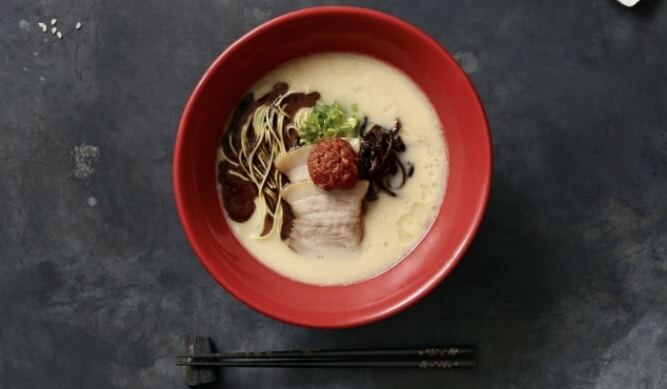 Their classic tonkotsu ramen is the only thing they serve, but they’ve pretty much perfected it. 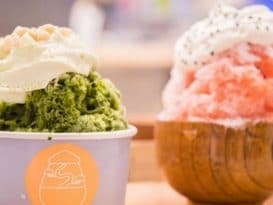 They’ve recently opened a new Manhattan location as well! 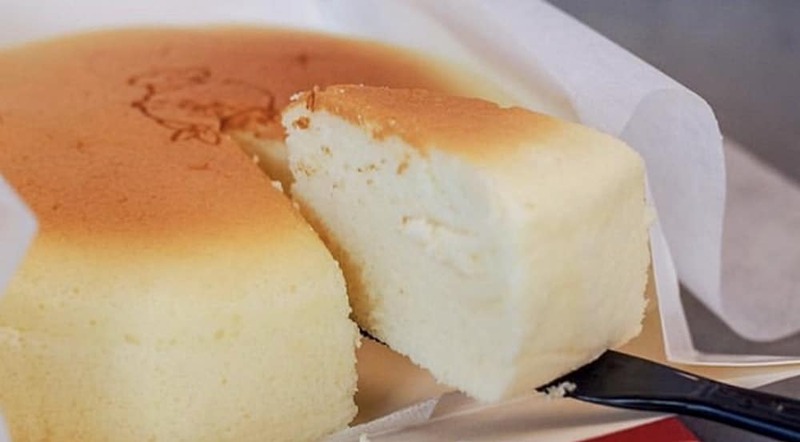 What: This restaurant first opened in Fukuoka, Japan and has since become a global name. While all of their ramen dishes are amazing, if you’re into spicy food you have to get their Karaka spicy bowl. 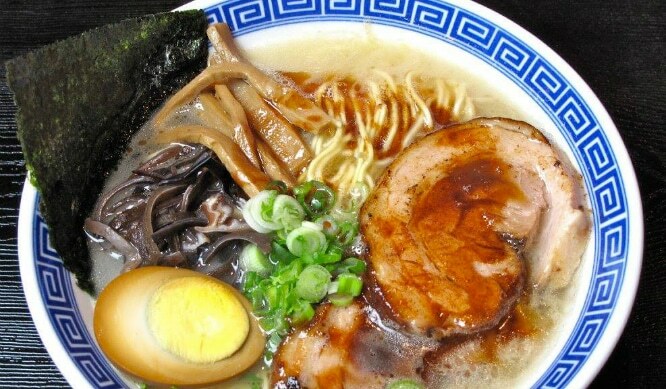 It’s made with their special blend of spices and topped with pork belly chashu, cabbage, and sesame kikurage mushrooms. 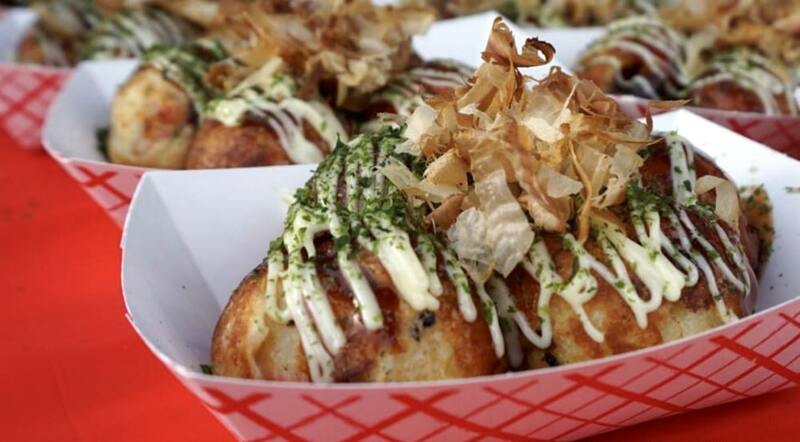 Their steamed buns are also tasty, but you won’t be able to take your order to-go so be sure to show up hungry! photo modified: yelp / Daniel C.
What: We can list Ivan Ramen’s entire noodle menu when it comes to what you should get while there, but if you’re looking for a classic we recommend the Tokyo Shoyu ramen, or if you’re trying to go all out and love garlic the Triple Pork Triple Garlic Mazemen is as indulgent as it sounds. 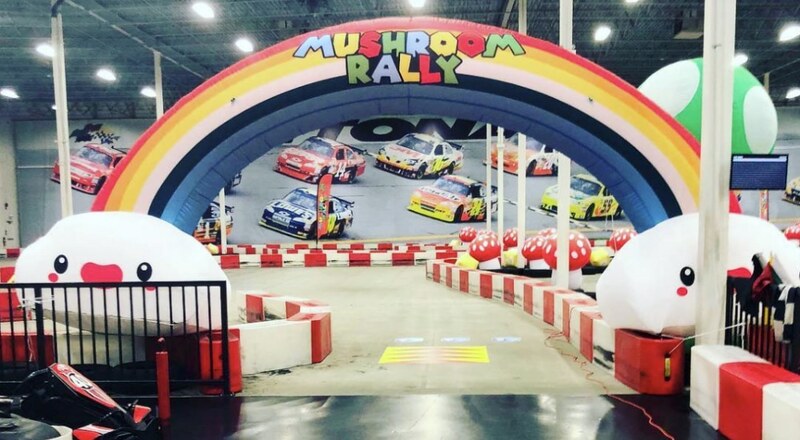 What: This cash-only spot has been around for a while. Choose your noodles (thick, thin, wavy, whole wheat, or bean) and then your broth (there are 12 broken up between pork broth, chicken broth, pork & chicken broth, miso, vegetable, and spicy). It’s wonderfully simple. 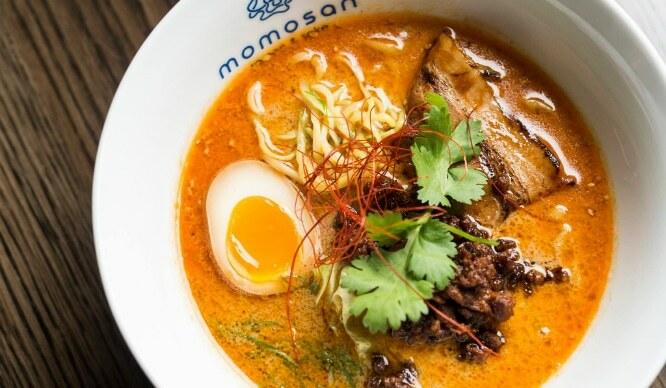 What: Momosan, created by chef Masaharu Morimoto, serves a handful of ramen options but we’d go for the tantan which is made with spicy coconut curry, pork chashu, red miso, ground pork, aji-tama, and cilantro. If you’re nervous about having something spicy, their tsukemen is also delicious. 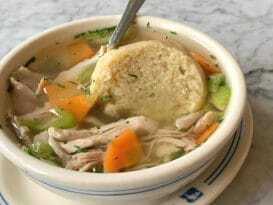 In this dish, the noodles and soup are served separately. 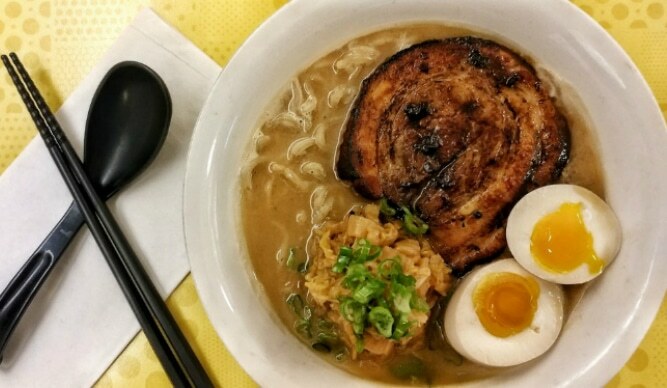 What: If you’re looking for ramen in LIC Mu Ramen is the place. 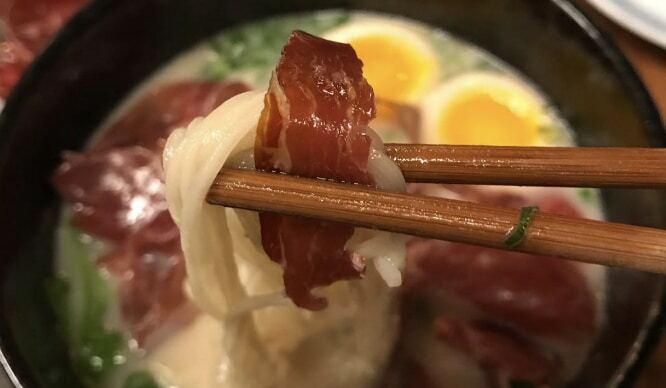 We recommend “The Flying Pig,” it’s their signature bowl made with iberico pork bone broth, jamon de iberico, and negi. What: Another wonderful ramen shop on the LES, Nakamura has several vegan options on the menu. They even have a truffle miso! Anything on this menu is worth a try. 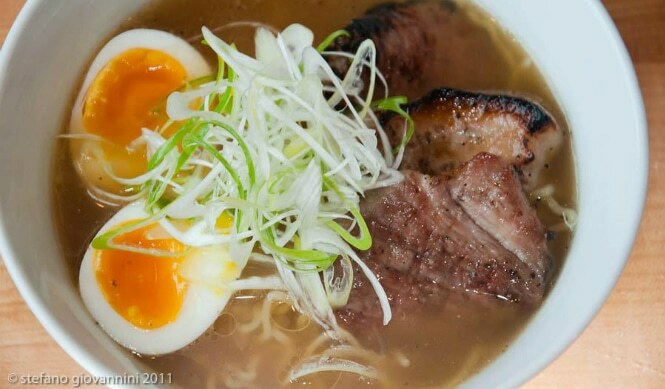 What: Totto Ramen is known for their chicken-based broth, instead of the more common pork-based broth you’ll find at most ramen shops. 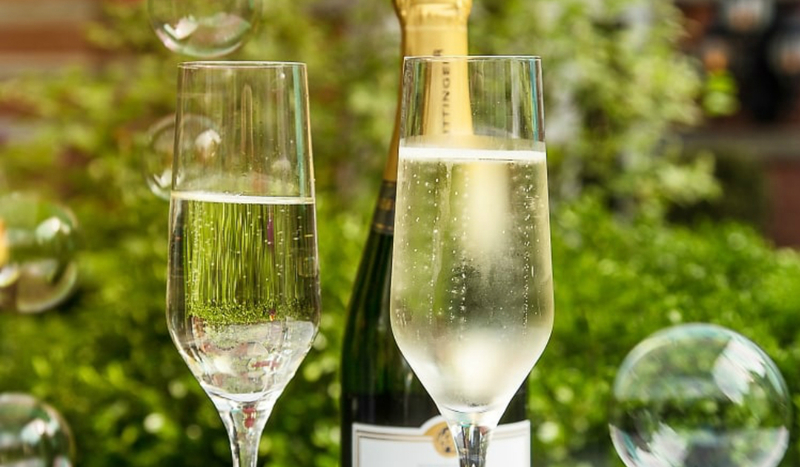 If you’re not going alone you may have to wait a bit for a table, but the wait is certainly worth it if you have the time to spare! 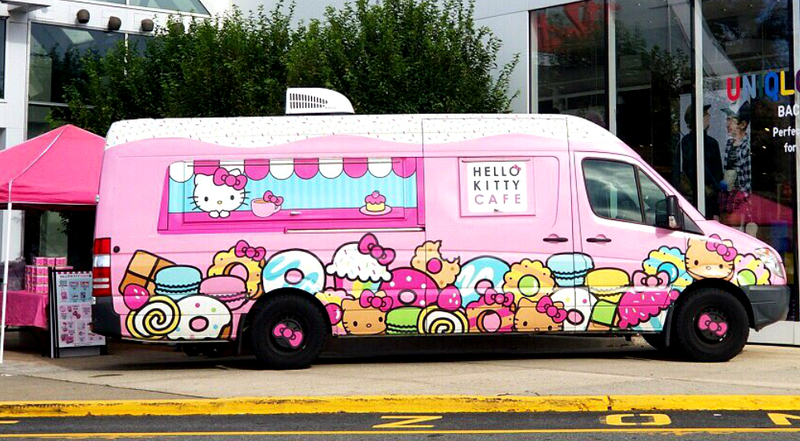 featured image source: yelp / Phil L.